Madeline Hatter, daughter of the Mad Hatter, is throwing a Hat-tastic Party with all her friends to help save the Wonderland Grove from losing its wonder and magic. 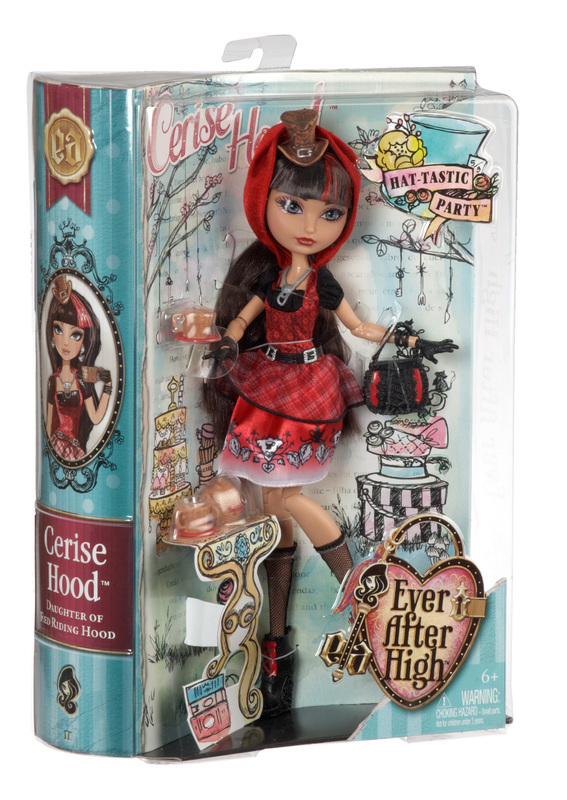 Cerise Hood, daughter of Red Riding Hood and a member of the Ever After Rebels, is dressed tea-rifficly for the occasion in a modern harajuku-inspired dress. Charming accents include a skirt with nature-inspired print, plaid peplum, black rouched sleeves and black knee-highs. Unique heels, a wicked awesome handbag and a fableous matching hat are spellbinding touches. While wearing hexquisite black gloves, she can sip tea in epic style from her picnic basket-inspired teacup and personalized teapot. A special color streak in her enchanting hairstyle adds an extra-modern edge to her fairytale-inspired look. The posable doll’s details make for hexquisite display. Doll comes with purse, hairbrush, teapot, teacup and doll stand. Collect her tea-party friends to expand the guest list. Ages 6 and older. 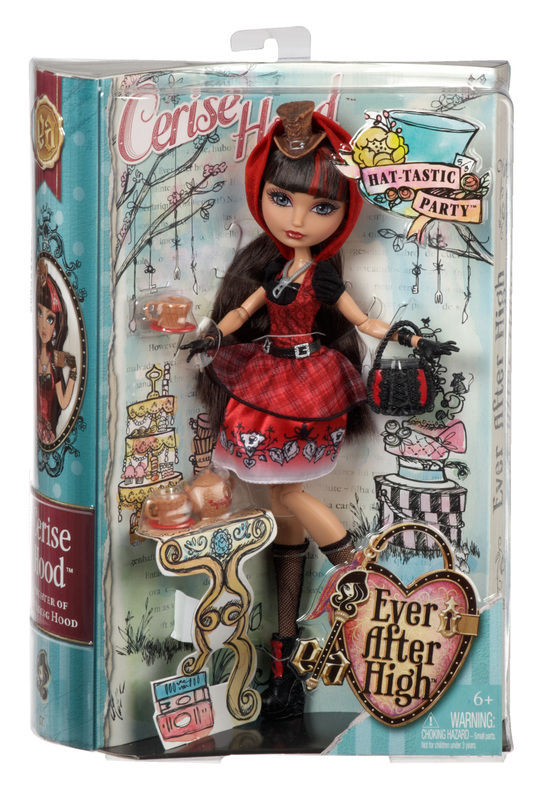 Cerise Hood is tea-rifficly dressed for Madeline Hatter doll’s Hat-tastic Party in a modern harajuku-inspired dress. 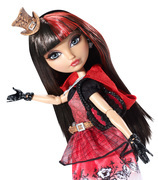 Spellbinding details include a nature-inspired print, plaid peplum, black rouched sleeves and black knee-highs. A fableous hat and black lace-up booties are spellbinding touches. 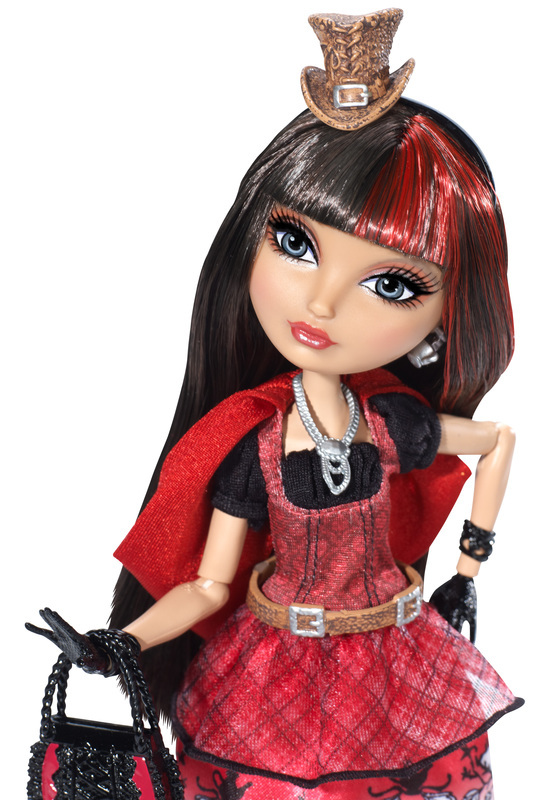 She comes with a personalized tea set inspired by a picnic basket.